After the last children’s hospital in Eastern Aleppo was bombed, people from around the world came together and raised £246,505 to build a new hospital of hope to replace it. Thanks to donations from over 4,000 amazing people, the hospital is being built in early 2017 and extra funds have been raised to cover the running of the facility. Donations are processed in GBP but you can donate from anywhere - your bank will just convert the currency for you. Please leave out the currency symbol. Thank you! What you're part of is an amazing, ambitious project. Can you share with your family and friends to get them involved? In Syria, hospitals have become targets and are being used as a tactical weapon of war. As medics come under fire in the most dangerous place on earth, we are coming together to support their lifesaving work. Last month the only children’s hospital left in besieged East Aleppo was bombed out of existence. It was struck by missiles as the medical workers were treating children suffering from a chlorine attack. This hospital has been attacked before but every time the amazing staff have rebuilt it. This time, judging it too dangerous and without the supplies to rebuild the hospital was closed for good. Now by coming together we can get these heroic doctors and nurses the equipment they need to open an entirely new children’s hospital in the nearby countryside. We’re sending a People’s Convoy to the country on December 17th stocked with medical supplies which can save lives immediately and a message that ‘we the people of the world stand with Syria’s lifesavers’. A similar convoy is being organised in France to equip clinics in Aleppo. You can read more about it HERE. By raising £91,432 we can outfit an entire children’s hospital. We know it’s easy to feel powerless, but this is something you can do that can make a real difference. Even if they destroy every single hospital, we will never give up. Here is just some of the equipment you can fund and help get to the children of Aleppo. Please give what you can. This is an emergency. 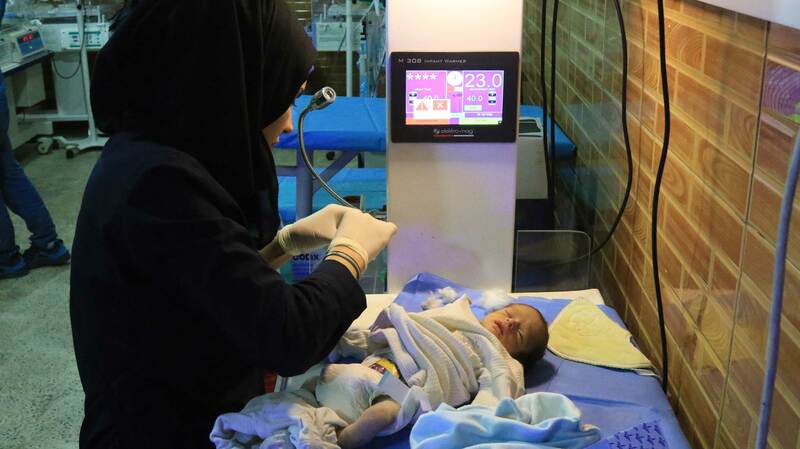 Syria’s medical workers and hospitals are being systematically targeted because they are saving lives. When the bombs fall, the wounded and dying are rushed to makeshift hospitals in caves, basements, and even living rooms. In these unlikely beacons of hope, doctors operating by the light of cellphones, using rudimentary equipment and insufficient medicine, manage to save lives everyday. Against all odds, Doctors and medics work around the clock often not sleeping for days. Many live in the hospitals, sleeping in storage rooms, side by side with colleagues, only seeing their families after weeks of work. Since Syria’s peaceful uprising was met with brutal force doctors have been systematically targeted as a tactical weapon of war. It has become apparent that anyone treating ordinary people on ‘the other side’ of their political view has become a valid target and their elimination is part of a deliberate strategy to take greater control. More than three-quarters of Syrian doctors have fled since 2011. Those that remain have chosen to stay to serve, believing it their duty to save lives, even though it means risking theirs as hospitals are targets of daily airstrikes. What’s happening in Syria is an unprecedented attack on hospitals, health workers, and the principle of medical neutrality in the history of the modern world. 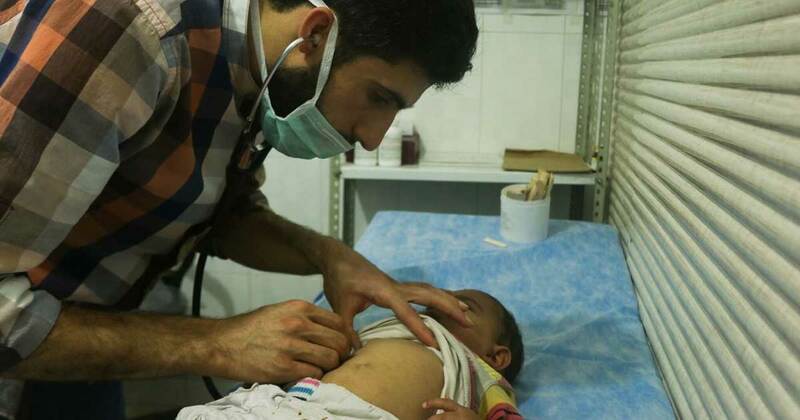 Syria’s heroic doctors and medical workers are doing all they can to save lives,but unless the world protects them from being targeted, there is a very real chance that soon there will be no doctors or medical workers left. While Governments fail to act to protect them, people around the world can help make sure their lifesaving work continues. Please give what you can and help support Syria’s heroes. I KNOW THAT THERE IS A LOT OF DANGER HERE. BUT I LOVE THESE CHILDREN, I LOVE MY COUNTRY. I AM NOT LEAVING. 100% of the money raised will go directly to supporting the Independent Doctors Association: either buying the equipment or contributing to the hospital construction and development costs. 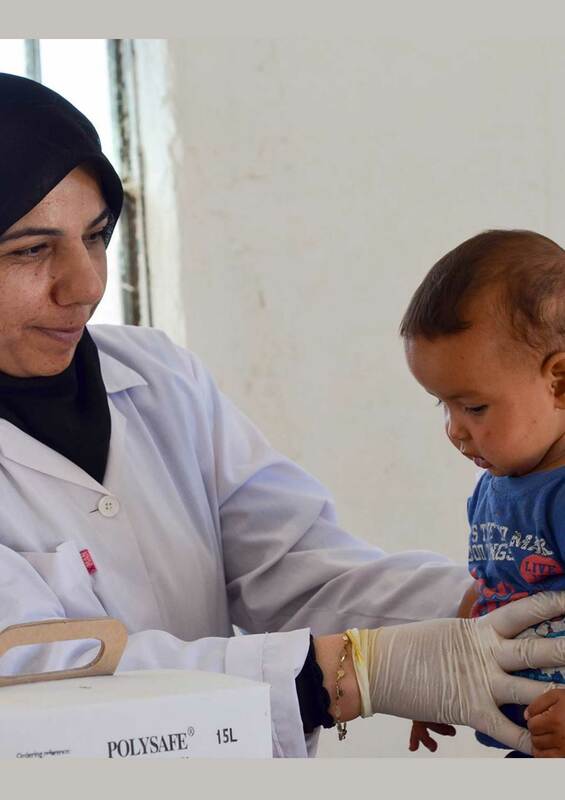 Your contribution will change the lives of Syria civilians seeking medical care - please give generously. 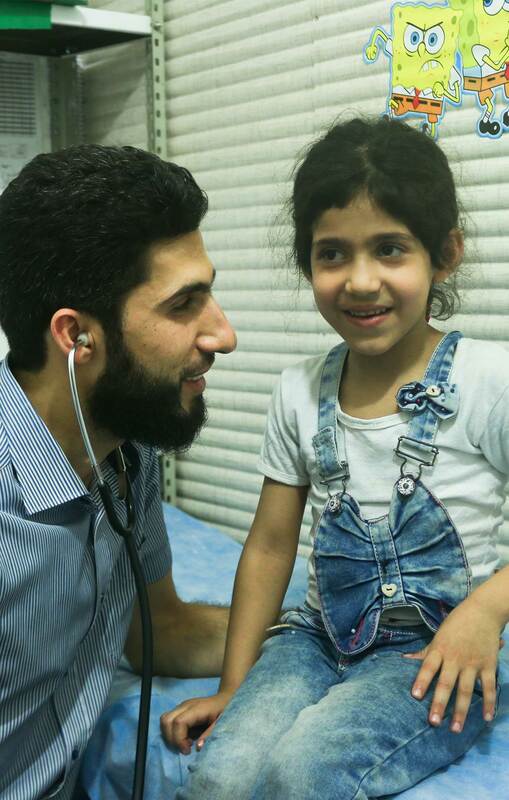 The Independent Doctors Association [IDA] was founded by a medical committee of Syrian doctors from Aleppo in June 2012 as a response to the humanitarian needs in areas outside of government control in Northern Syria. By the end of 2016, IDA will be providing nearly a million people in the Aleppo governorate with medical services. IDA is headquartered in Gaziantep with an additional office in Kilis, and runs all of its health projects in Aleppo governorate. Donations are processed through "The Voices Project" which is the legal name of The Syria Campaign - registered in the UK. The Syria Campaign/Voices Project receives no money from this fundraising campaign and all money collected will go directly to supporting IDA. The People's Convoy is organised by CanDo, Doctors Under Fire, The Phoenix Foundation, and The Syria Campaign. The operational costs of the convoy are privately funded.